is your trusted partner in all areas of practice transition. In the market to purchase a dental practice? a buyer to receive immediate notification of our listings. practice at a fair and attractive price. The landscape for transitioning practices has changed dramatically. Contact us to discuss the many options that are now available. and operational structures to ensure your success. in Accountancy at Bentley College. She began her career at KPMG, LLP in Boston, primarily working with clients in the Healthcare/Life Science sector and received her CPA license in 1998. 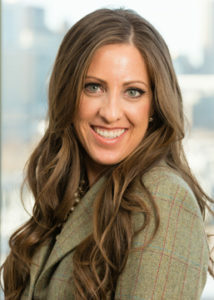 Following KPMG, she worked for American Dental Partners, Inc. in their Corporate Development department. During her nearly 10 years with ADPI, Maria was involved in nearly 100 transactions, ranging in size from $50,000 to $90,000,000. During the last 4½ years of her tenure, she was Director of the department and responsible for overseeing all aspects of the acquisition process including: lead generation, valuation, transaction structuring, legal document negotiation and transition. In April of 2012, Maria joined forces with Larry, Dennis and Mark to form MORR to assist individual dentists and dental groups with all aspects of transitions. In addition, MORR provides guidance in considering the legal, operational and economic structures for dental group development. Maria also serves as a volunteer and member of the Board of Directors for Sibling Connections, Inc., an organization focused on reuniting siblings separated when placed in the foster care system. Since 2009, John has been helping dentists get the most out of their practice transitions. 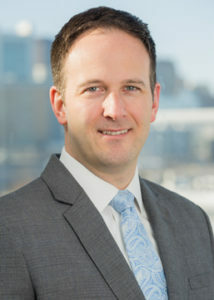 As Vice President at Bank of America’s Practice Solutions Division, John managed the New York and New England territories, helping hundreds of dentists transition into or out of practice ownership. His extensive experience in the Financial Industry gives him a unique perspective when it comes to finding and vetting prospective buyers and helping make deals happen smoothly. John has an unparalleled knack for listening to—and connecting with— his clients. It’s a skill he learned early on in his career when he worked for the iconic menswear store, Brooks Brothers, and built upon as he fast-tracked his way through a myriad of personal and investment banking channels. A consummate professional, John always keeps the best interest of his clients at the forefront of any transaction and values client satisfaction as his top priority. John is originally from St. Louis, MO and made his way to Boston through Columbus and New York City. When not spending time with his lovely wife, Corey, and French Bulldog, Franky, he’s skiing, playing golf, traveling or attending any ticketed event.